The sallet was a common enough helmet after their rise during the middle of the 15th century, and for good reason. Helms like this Deep Visored Sallet Helmet were rather protective, while also lacking the drawbacks of many earlier great helmets. 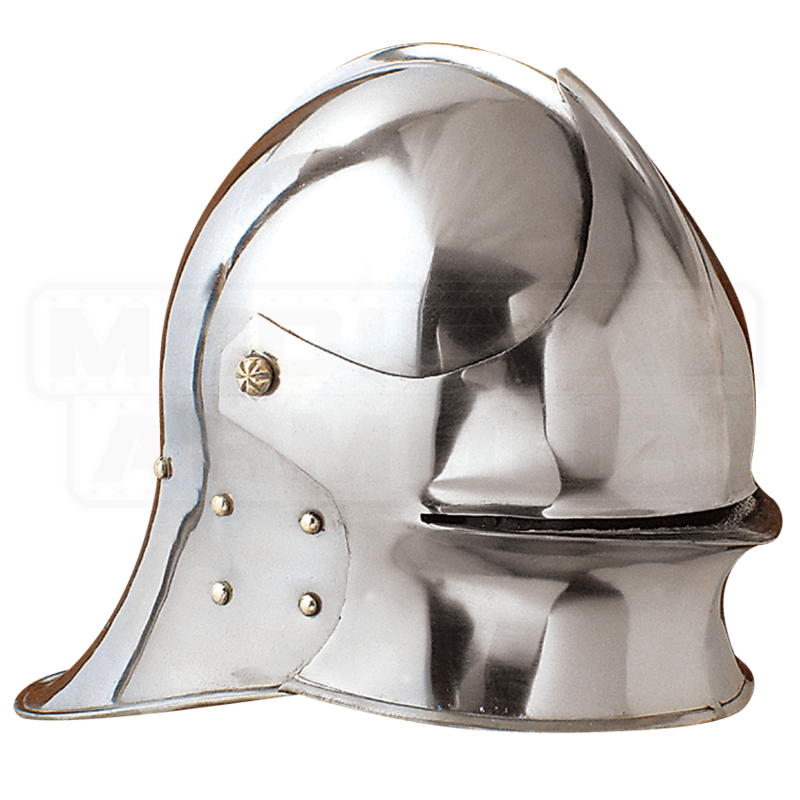 This sallet features a deep visor, as well as a subtle German style, possessing a rounded top with a rotating visor with smooth, curved edges. The top of the helm has a short crest, which lends additional strength and support. Where the visor is secured there is a single decorative knob, as well as a few additional rivets, which provide an equal level of decoration and defense. Like many sallet helmets of the time, this helm also features a swept, elongated back, which provides a bit more defense to the back of the neck and head. The helmet is made from 16 gauge steel, which not only gives it a realistic look that is perfect for either display or costuming, but also makes it a great helmet to wear whenever you want to enter into a mock-battle. If you have been looking for a great helmet to wear or display in your collection, then your search is over, because this Deep Visored Sallet Helmet is a great one to choose, whether you plan on wearing it displaying it.